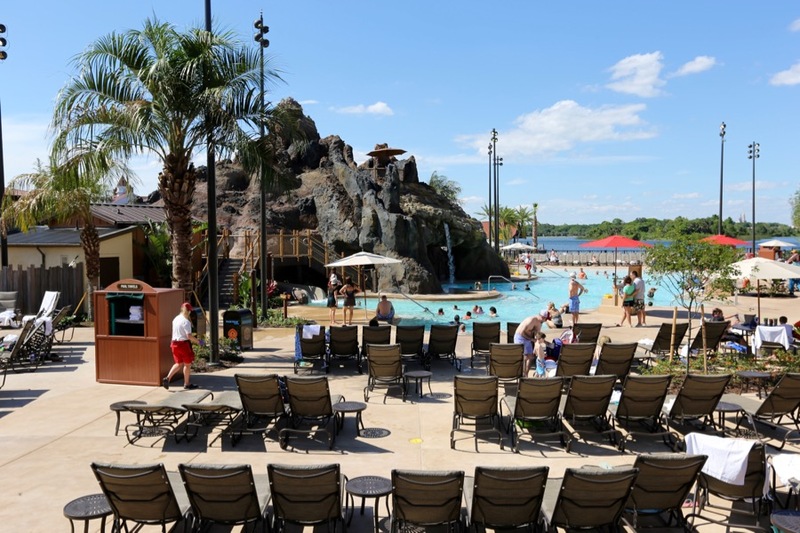 In my last two articles in this series, we discussed the best on-property Disney resorts for families with young children (here), and families with school-age children (here). Now, we’re moving ahead to the teenage years. 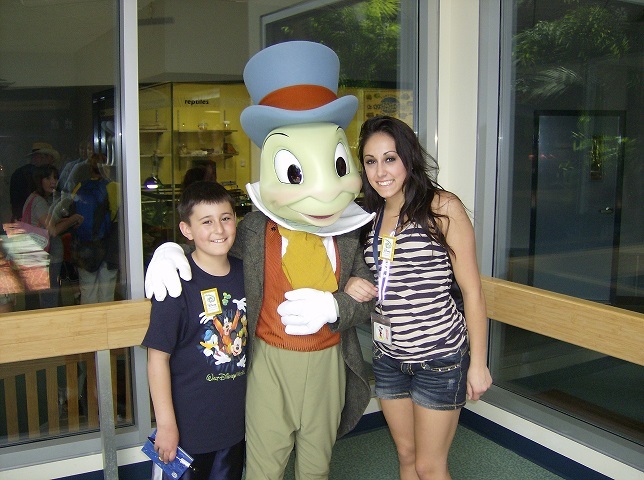 My husband and I have always had a wonderful time with our teens at Walt Disney World. It’s a great place to have fun together, and strengthen family bonds. 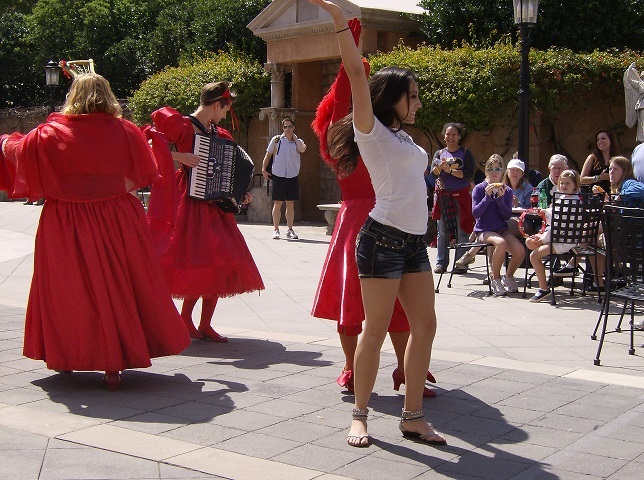 And when you’re traveling with teens, it’s also a great age to add new experiences to your vacation, such as tours and special events, that wouldn’t necessarily appeal to younger children. I’ve also found that having teenagers means focusing on different things when deciding on which resort will work best for you. 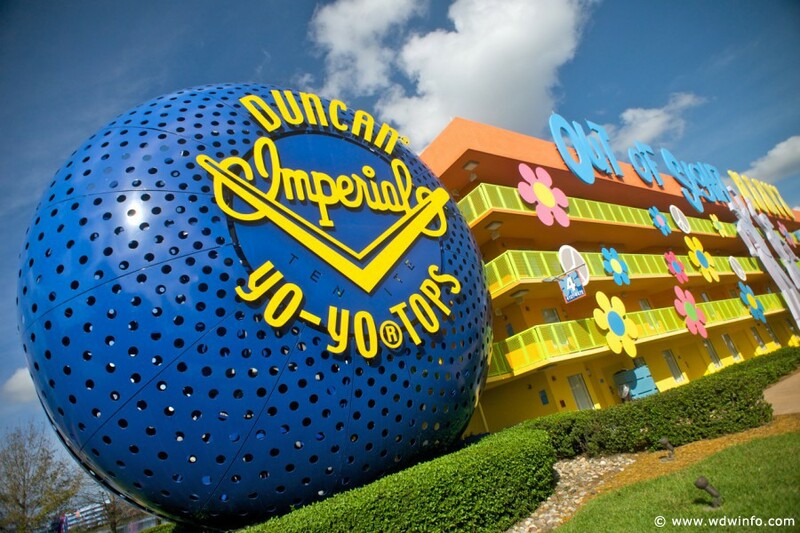 And while all Disney resorts are generally great for any age, I’ve found the following resorts have captured my teens’ interest more than others. The winner is this category is Pop Century. This is a personal favorite of mine among the value resorts, and I think it’s an especially good fit for teens. While the resort is very well-themed, it’s not in the same vein as Art of Animation, and seems to appeal more to the older kiddos. 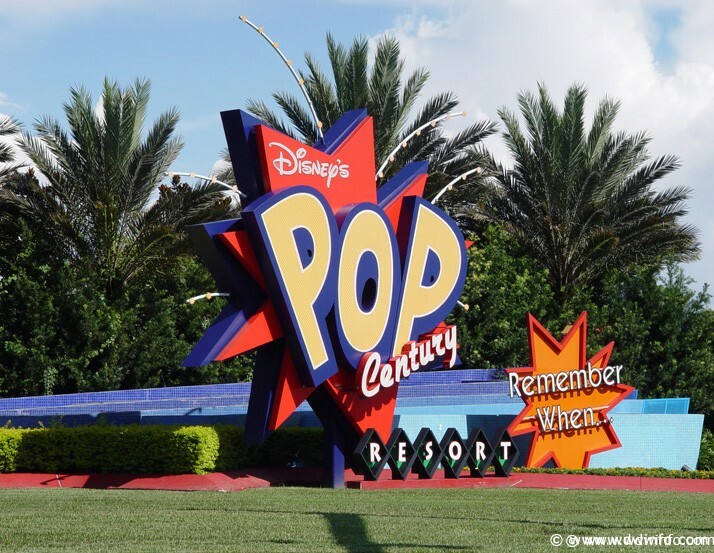 Pop Century is a resort that focuses on American pop culture, from the 1950s through the 1990s. Each section features a different decade, and is themed accordingly, with giant icons (including Disney characters) representing quintessential items from each time period. They range from a jukebox in the 1950’s section to a Walkman in the 1990’s area. 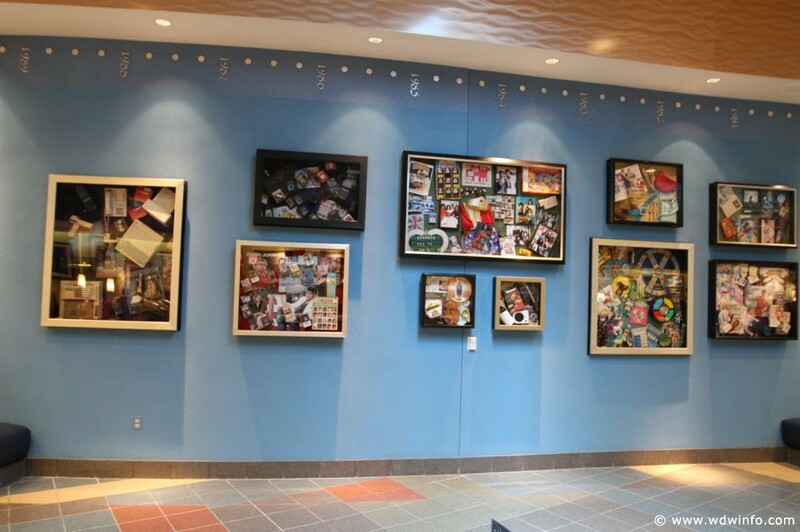 The fun of Pop Century began in the lobby for my teens, where an entire wall of shadow boxes featuring games, toys, ephemera, and photos from each different decade is featured. My husband and I had fun pointing out items we’d had as kids — including many we’d completely forgotten about. It’s a great area to occupy your kids while waiting to check-in, and to return to later during your stay for a trip down memory lane. Pop Century features a large, open food court, serving the traditional Disney staples along with some other items unique to the resort. I don’t know if they still serve the tie dye cheesecake, but that seemed to be a best-seller among the guests at lunch and dinner. 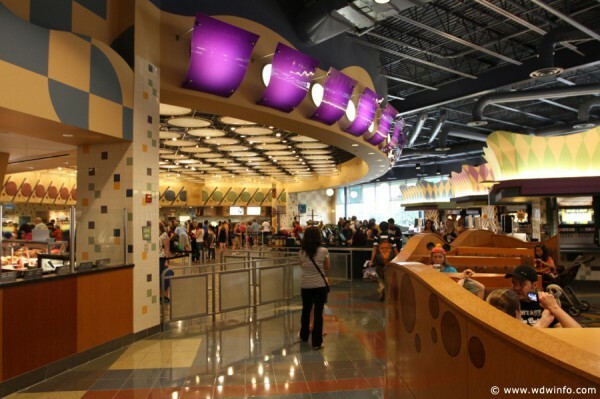 The food court has decent food, but if you’re looking for something a bit different for your meals, the Art of Animation food court is just a quick walk over the bridge at Hourglass Lake. Pop Century has three swimming pools. The main pool, known as the Hippie Dippie Pool, is near the 1960’s building, and features the Petals Pool Bar, which serves a decent selection of drinks. The two other pools are the Bowling Pin pool in the 1950’s section, and the Computer pool in the 1990’s area. 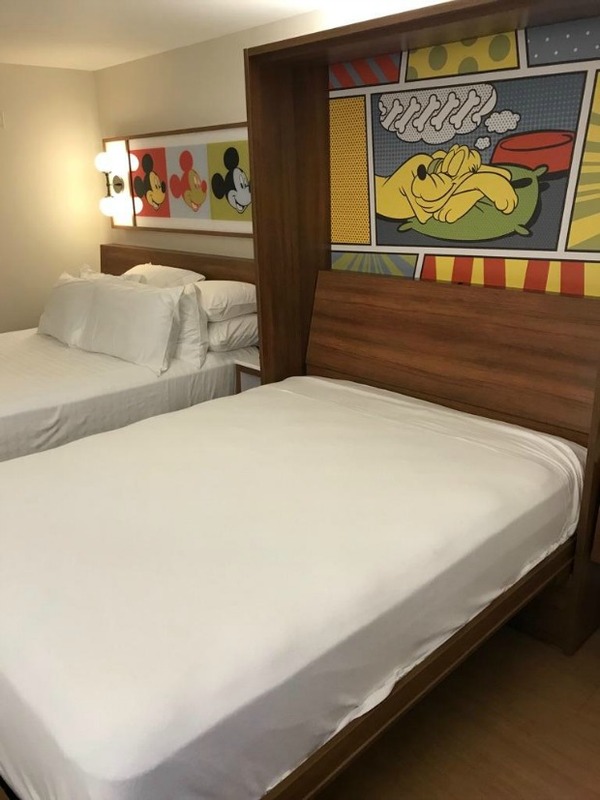 The rooms at Pop Century are on the small side (260 sq. ft.), but have recently been renovated to make the space more efficient. One of the beds is now a Murphy bed, which folds up to allow for table space. I’m not sure how well this works in real life, as my family would have had to move quite a bit of stuff from the table each night in order to use the bed. We tend to pile up souvenirs, etc. on the table, since there isn’t much other space for them in a value room. Maybe someone who has stayed in one of these refurbished rooms can comment on how they like the new design? I’d love to know. 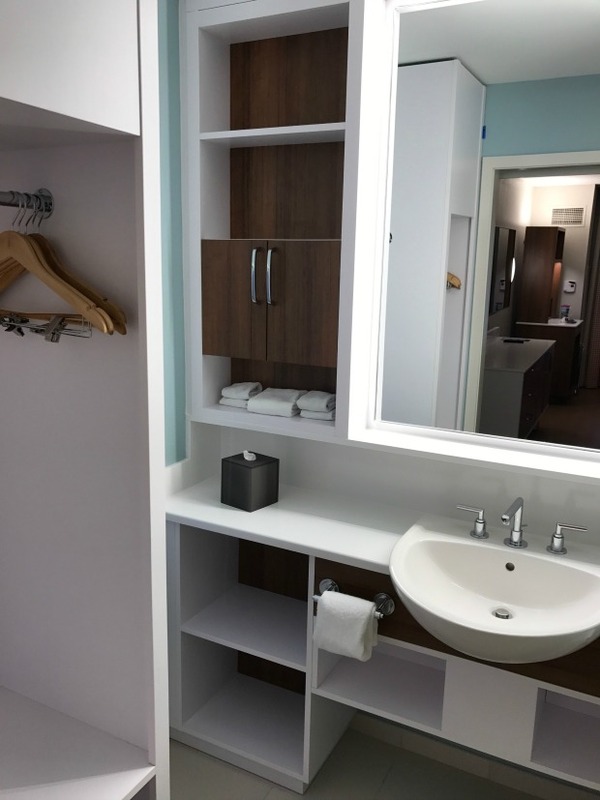 I do think the bathroom redesign is very well done, and now provides cabinet and shelf space to store all those pesky toiletries that otherwise take over the sink area, and make getting ready in the morning more difficult. Pop Century is currently served by the Disney bus system, but will eventually be one of the resorts using the new (yet to be completed) Disney Skyliner. Pop Century and Art of Animation will share a gondola station, providing yet another means of transportation to the parks. The Cabins at Fort Wilderness are my choice for the best moderate resort for families with teens. It’s definitely not a traditional hotel stay, but that’s just one of the many reasons why it’s a great place for those older kiddos. 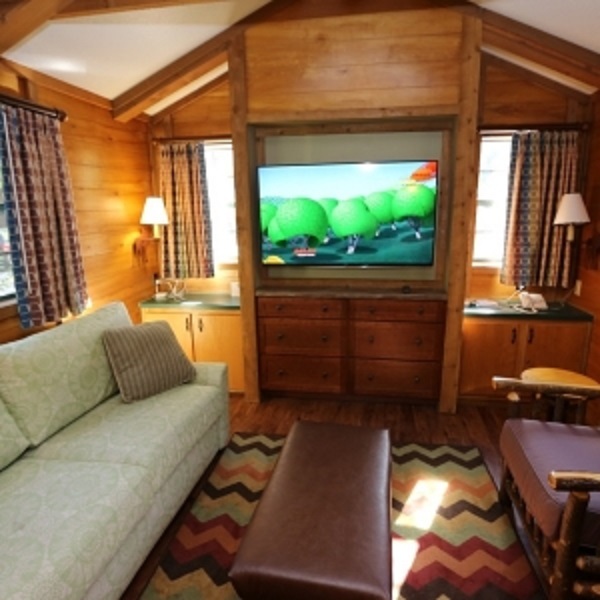 The cabins have recently been remodeled with some significant changes. The units are actually free-standing, mobile home-like structures, that are larger than your average hotel room (about 500 sq. ft.), and can sleep six. The cabins feature a separate bedroom with a queen sized bed (previously, it was a double) and two bunk beds. The living room now features a queen sleeper sofa (I don’t consider this an improvement, as they used to have a very comfortable Murphy bed), and a much larger TV (55 inches) and cabinet with storage. 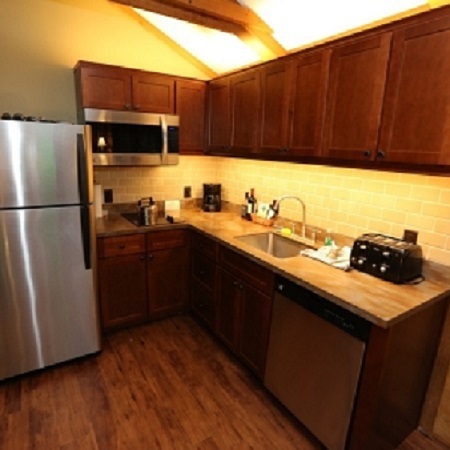 One of the nicest features found in these cabins is the kitchen. This can definitely save you money on your vacation, as it makes it very easy to prepare simple meals. They have eliminated the full oven, and now have a two burner cooktop with a microwave/convection oven above it. There is also a charcoal grill and picnic table on your outside deck, which is great for a cookout at the end of a long day in the parks. You will feel completely removed from all the hustle and bustle, as you relax and recover in the “wilderness”. I think the cabins are great for teens, because you have space to spread out. It makes for a much nicer vacation when you don’t have family members crawling on top of each other to maneuver around a hotel room, and when you’re not drowning in the clutter of each other’s clothes and toiletries. Also, Fort Wilderness is a hidden gem on the Disney property. Your teens can have freedom here to walk along the trails and really enjoy their surroundings. There are so many amenities here; you could conceivably have a wonderful vacation without ever setting foot in the parks. The Meadow Swimmin’ Pool has a 67 foot, corkscrew water slide and a splash pad for the little ones. For recreation, there is also horseback riding; canoe, kayak, and bike rentals; playgrounds, basketball and volleyball; and jogging trails. One of the fun activities for kids of all ages is the free (yes, I said free) Chip & Dale’s Campfire Sing-Along (and marshmallow roast — you supply those, or you can buy a kit). There are many more things to do here, but for the sake of brevity, I won’t list them all. Suffice it to say, your teens won’t be bored during your stay. 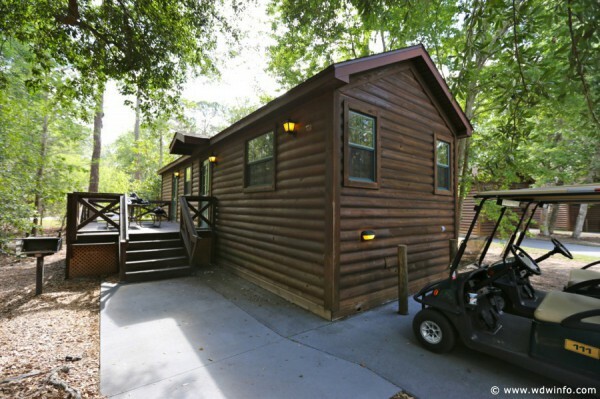 I highly suggest renting a golf cart for transportation around Fort Wilderness itself during your stay. 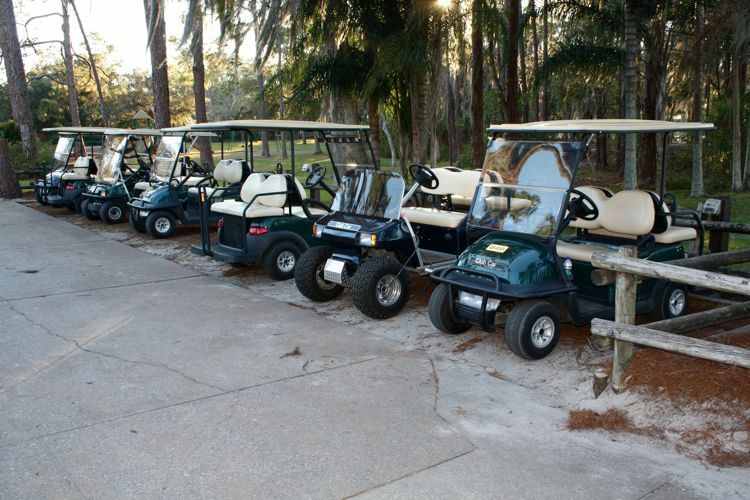 If your teen is sixteen years old and a licensed driver (they must have their license with them), they can drive the golf carts. 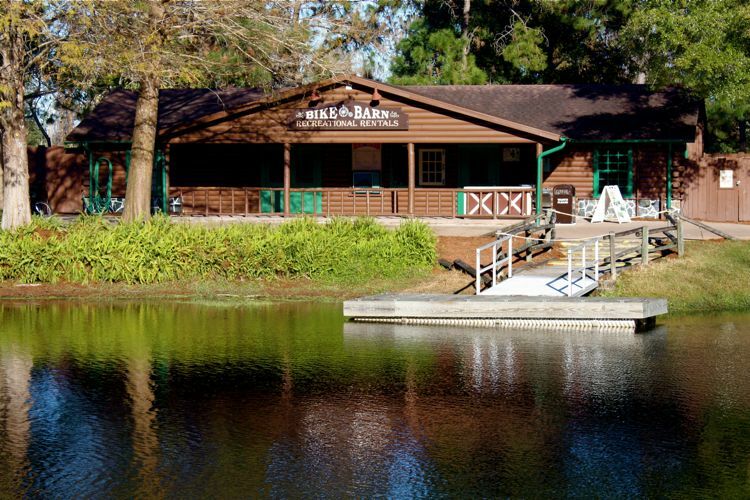 Just like the swimming pool is the highlight of the trip for younger kids, I’m sorry to say that buzzing around Fort Wilderness in the golf carts might be the highlight for your teenagers. Trail’s End is the dining hall for Fort Wilderness guests, and the food here is wonderful. Don’t miss the buffet breakfast. Lunch and dinner are terrific as well. 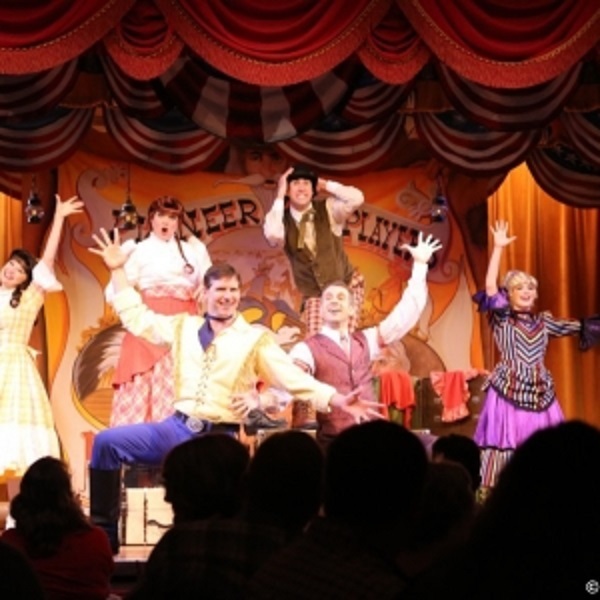 Fort Wilderness is also home to the Hoop-Dee-Doo Musical Review, which is a must-see for everyone. Yeah, it’s cheesy — but it’s also fun. And though your teens may roll their eyes a few times during the show, I promise they’ll gobble down the delicious dinner with no complaints. Mickey’s Backyard BBQ is another all-you-can-eat dinner (with a similar menu to Hoop-Dee-Doo), but with characters and a fun little show. Fort Wilderness is served by the Disney bus system, as well as a ferry boat for guests headed to the Magic Kingdom. Okay, this was a tough choice. 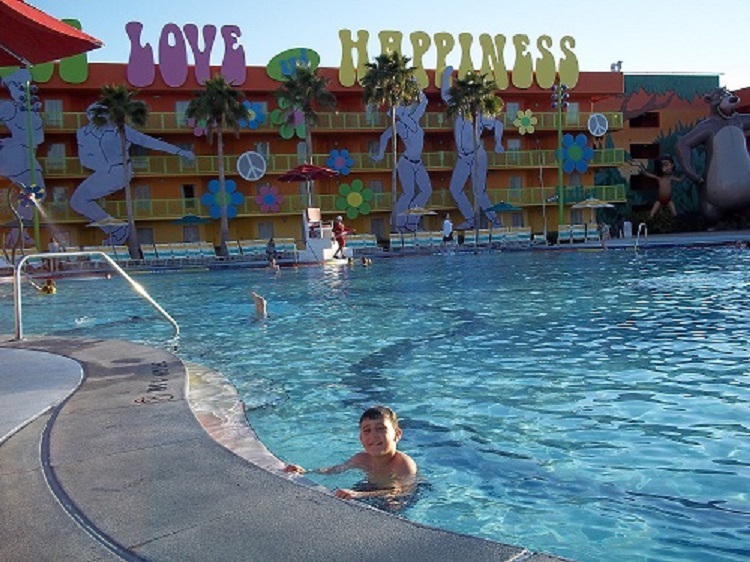 Mainly because you really can’t go wrong with any of the Disney deluxe resorts, especially when your kids are older. They’ll enjoy all of them. However, if I had to choose just one for families with teens, I would pick the Polynesian. The Polynesian Village Resort is one of Disney’s original hotels, and still one of its best. The South Pacific theme is carried through perfectly in all aspects, and it is gorgeous and relaxing. 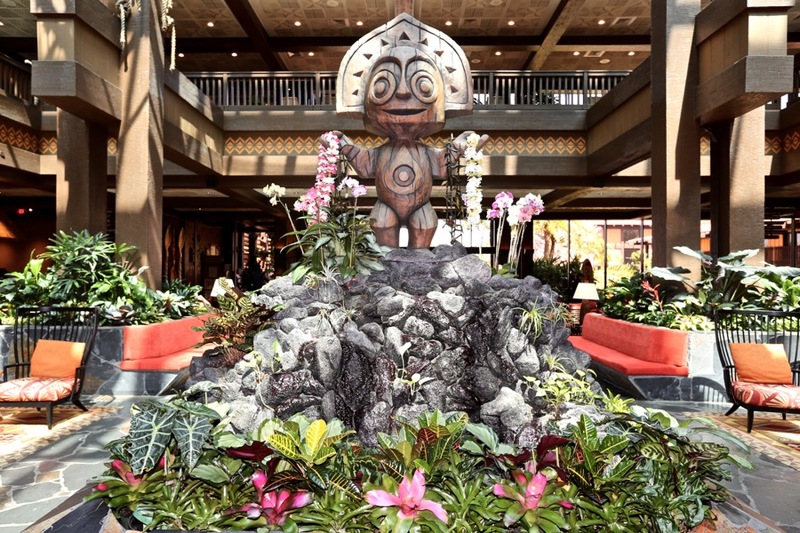 You definitely feel the “I’m on vacation” vibe when you’re staying at the Poly. Because this was one of Disney’s original resorts, the rooms are noticeably larger than some of the other deluxe hotels on property. At 404 sq. ft. you have quite a bit of room to move around, which is always nice when you have teenagers (who can take up quite a bit more space in a hotel room than a couple of pre-schoolers). 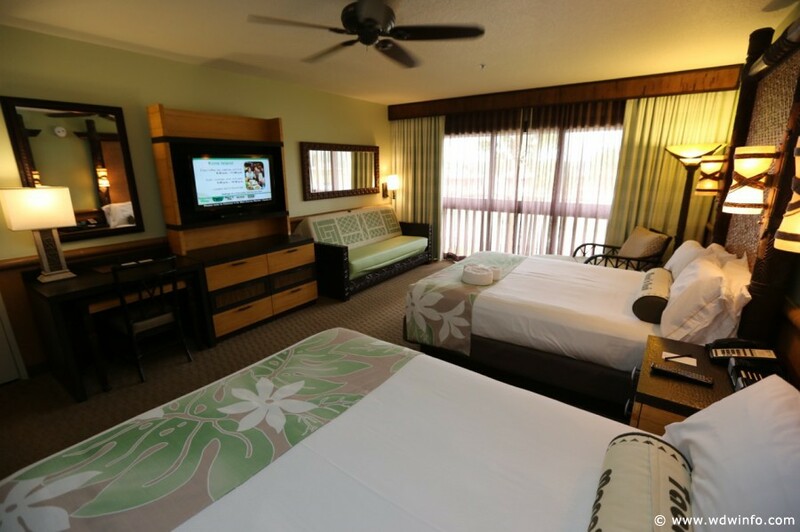 The Polynesian can also accommodate five in some of its rooms, so if that’s something you require, this is the perfect resort. I think the Poly rooms are gorgeous. The colors are muted sage, tan, and dark brown, and the combination is very soothing, and contributes to the overall laid-back feel of this resort. The main pool at the Polynesian Resort is the Lava Pool, and features a water slide housed in a volcano. There is also a fun splash pad for the little ones. Everyone in your family will enjoy a “pool day” here at the Poly. The lounge chairs are very comfy, and with the Barefoot Pool Bar right there, you might find it difficult to come up with a reason to leave at all. 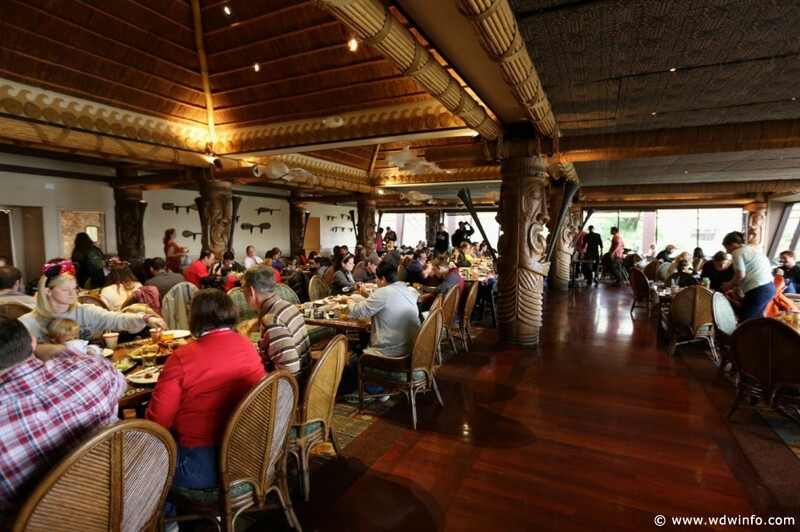 The Polynesian Resort has some of my favorite restaurants on all of Disney property. 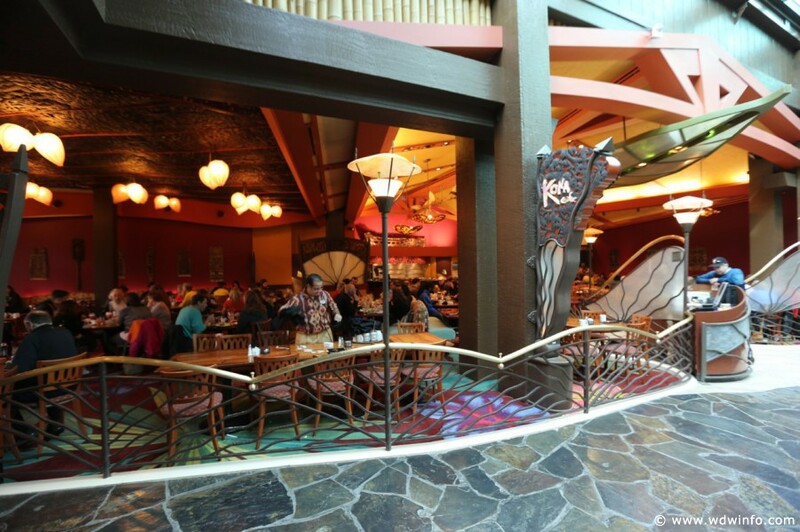 In fact, we go out of our way to eat at two of them during every visit, whether we’re staying at the Poly or not: ’Ohana and Kona Café. Kona Café is a favorite of mine for breakfast, for several reasons. Namely, the POG juice, the Tonga Toast, the pineapple-macadamia nut pancakes, and the Samoan egg entree. Serious yum, folks. Don’t miss it. The Polynesian quick service is Captain Cook’s, which is a cut above most quick service restaurants, in my opinion. It’s a great place to grab a fast meal before you head out to the parks. Try the Coconut Thai Meatballs or the Pulled Pork Nachos — delicious. The Spirit of Aloha dinner show is also featured nightly at the Poly. While you dine on food with a South Seas flair, you will also be entertained with music and dancing from the many cultures making up Polynesia. It’s always fun, and a great alternative to the character meals your teens might not be as interested in at this age. I also love the Polynesian for teens, because it’s a monorail resort. It’s very easy for them to get from the hotel to Magic Kingdom or Epcot, and I never worried about my teenagers doing that on their own. If my husband and I wanted to have a quiet dinner by ourselves, my kids would happily head into the parks together, and enjoy their evening as well. Then we would meet up later on the Polynesian beach to watch the Electrical Water Pageant. The Polynesian Village Resort is served by the monorail, the Disney bus system, and the Disney ferry boats. So, now you know my opinion on the best resorts for teenagers in Walt Disney World, what are yours? Let me know in the comments.